From the Racine Walking Tour Guide published 1994. The wagons were turned out at a rate of one every half hour, or five hundred per month. There was the “No. 180,” a one-and-a-half-axle phaeton with a red body and blue wheels, often used to illustrate Fish Brothers ads. 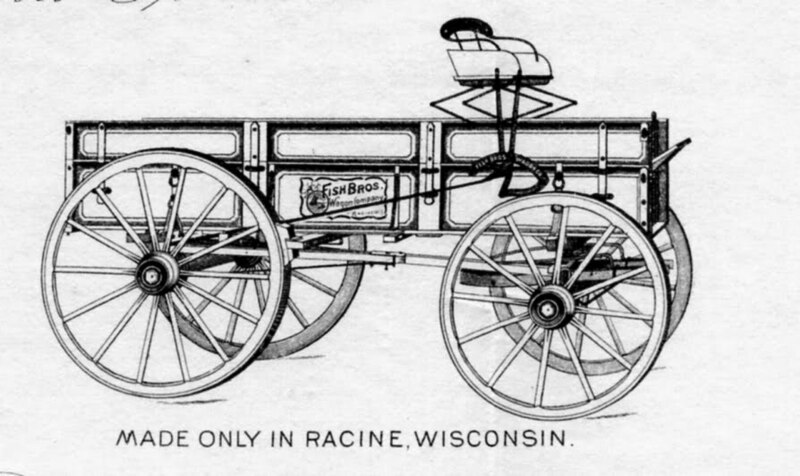 Buggies costing $210 and surreys costing $375 were handmade by workers who earned $1.25 to $1.75 an hour for shaping bar iron into tires, and making cushions, tops, and covered dashboards. 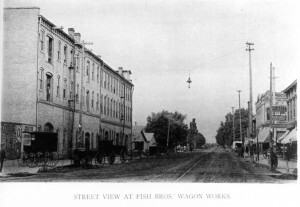 Located on the south side of State Street (the present site of Merchant’s Delivery), the Fish Wagon Works encompassed ten acres. Sheds for drying, curing, and storing the hardwood lumber which arrived at the company’s wharf and docks sat alongside offices and shops. Titus G. (1833-1899, Abner C. (1835-1899), and Edwin B. 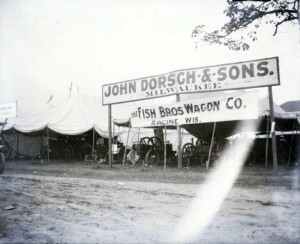 (1840-1924) Fish were nephews of industrialist J. I. Case. They grew up in Janesville (Wisconsin). 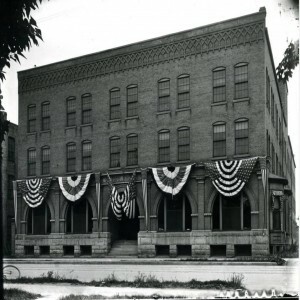 At the age of 21, Abner walked to Racine to attend Racine High School. He became a teacher, then a lawyer in Boston. In 1864 he returned to Racine to join his brothers. 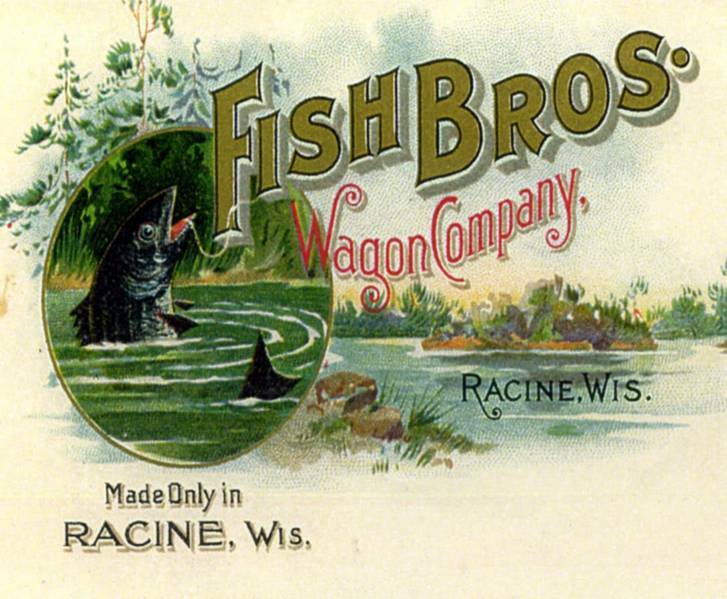 Together, they bought out Daniel Bull’s interest in Fish and Bull and, in 1866, changed the name to Fish Brothers. Industries such as the Fish Brothers Wagon Company and the Mitchell Wagon Works were just two of many local concerns in need of skilled trades and crafts people. That need prompted the immigration of countless Danes and Germans and other skilled artisans to this area. 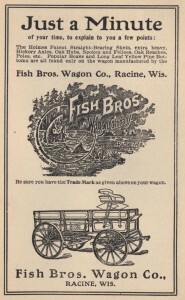 Where was the Fish Brothers Wagon Company? 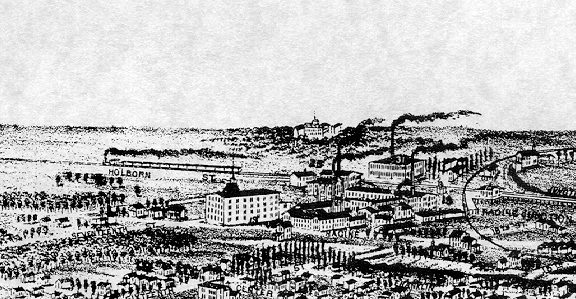 the factory was at State and Marquette Streets. I have been working on a family history for my daughter-in-law. 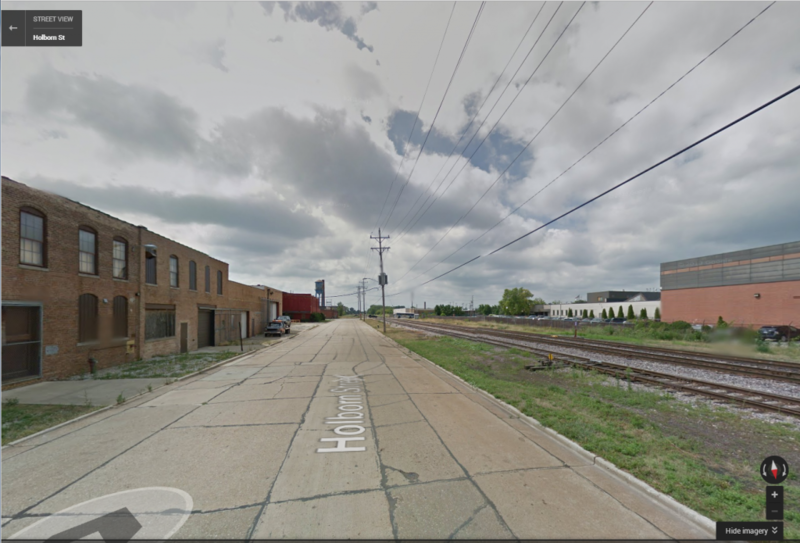 In doing I discovered that it is possible one of her grandfathers from PA may have come to work in Racine. He is listed in the 1920 Federal Census. Would you have any ideas as to how I could get more info? Just want to make sure I am chasing down the correct lead! I always start with Google, with the person’s name in quotes — “Jim Smith” and add in the word Racine. If you’re lucky, you’ll come up with some information right away. If you want to give me the grandfather’s name, I’ll search in my books for you. I have been working on family genealogy and found relationship to the Fish brothers. Would be happy to share info. Are you in Wisconsin? In the Portrait and Biographical Album of Racine and Kenosha Counties 1892 under William R Stetson, on page 305 and 306, his daughter Almira married Sheldon Fish was he a relation of yours? 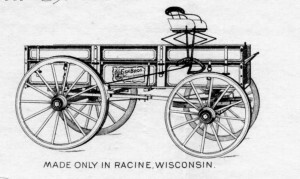 Dear Sir – Mr. J.J. White a customer of ours and an agent for the Fish Wagon Mfg Company Racine sprained his ankle a few days ago. He was informed by somebody that you sell a kind of oil (Mystic oil) would cure same. Would you kindly send him 2 bottles of the same at once. The amount we will send you by money order. Hopefully you will lets us hear from you and obliged. I have an antique traveling desk that has the Fish Brothers fish shaped logo on the back. Did they make desks, too? 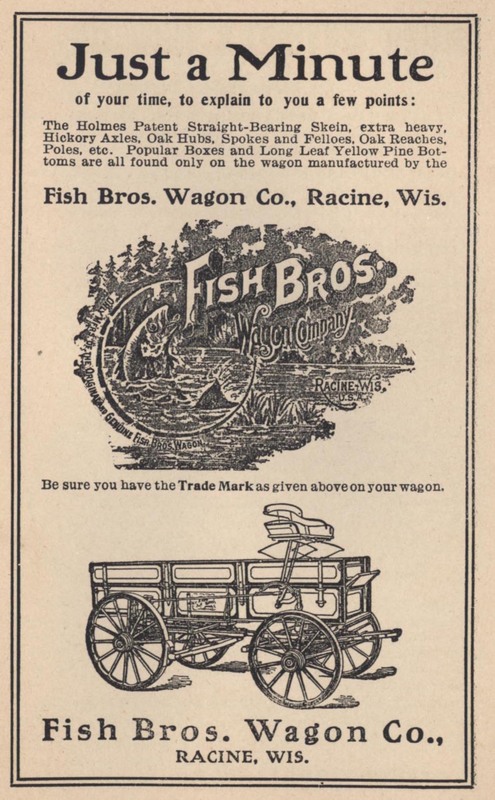 I have recently purchased a wagon that I believe to be a Fish freight wagon. It was called a “Sooner” wagon in the auction description, but the running gear looks like some Fish types that I have seen. My question is, how can I tell who the manufacturer is? Where would I find a name, or label that would suggest who built it?